STRATEGY, EXECUTION, RESULT. Lillian has worked at premier financial service institutions, namely, Citi Group, J.P. Morgan Chase, Berkshire Hathaway Home Services New York Properties, where she advised high net worth individuals, professionals and business owners. She credits her past experiences helping her to better understand her clients’ overall financial situations, so that she can craft the appropriate approach and solutions based on that analysis. Educated in China and the United States, Lillian understands the different cultures of both countries. She has a Bachelor of Science Degree in Finance and Economics from State University of New York at New Paltz, and a Professional Certification in Financial Planning from Boston University. As the founder of PLS International LLC ( A licensed Real Estate Brokerage) and Lillian & Associates Insurance Agency Inc .( A licensed Insurance Brokerage) , Lillian’s responsibilities include Real Estate Consultation, Property Management, Insurance strategies Consultation . Lillian maintains FINRA Securities Series 7, Securities Series 63; New York State Property and Casualty insurance license; New York State Life and Health license, and New York State Real Estate Broker license. Her multi-faceted experiences enable her to handle complex transactions and provide superior client services. Lillian is also a certified negotiation expert ( CNE) and put her skills to work for your best interest. A twenty- one year resident of New York City with over 12 years of experience of successfully investing in securities and real estate properties across Manhattan, Queens and Brooklyn. Lillian thrives on helping clients achieve their financial success, she has a knack for expertly guiding clients, expecting the unexpected and delivering creative solutions to the inevitable challenges that will arise. Lillian resides in Manhattan Midtown East. 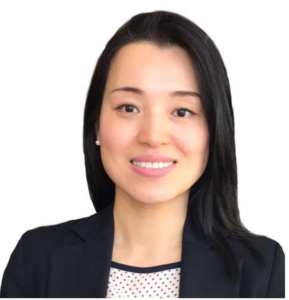 Lillian is fluent in Chinese, and is an active member of the National Association of Asian American Professionals, Chinese-American Real Estate Association, The China Institute and the Asia Society. When she’s not working, you’ll find her spending time with family, exercising, traveling and enjoying the city’s great museums and cultural events.